Ideal for upgrading microphones on a camera shoe (fits most standard shotgun microphones). 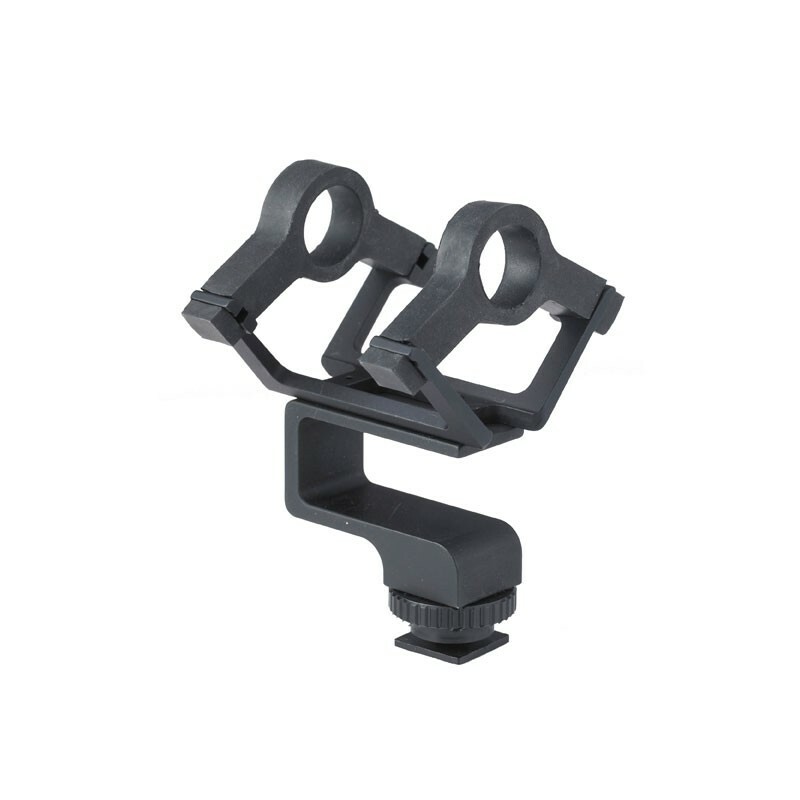 This ruggedly constructed shockmount, which offers stretchable polymer formulated suspenders and vertical angle adjustment, will accommodate mic diameters from 19 to 25mm. This version features a camera shoemount fitting, allowing placement on professional and consumer video cameras.